Et diré sempre la veritat. Te diré siempre la verdad. in: Salvador Espriu - Antología lírica: Ediciones Cátedra, 1987. I'll tell you the truth always. Translated by Louis J. Rodrigues. Salvador Espriu - Selected Poems: Carcanet 1997. Je te dirai toujours la vérité. in: Seigneur de l'ombre, Anthologie poétique bilingüe: Editions Pierre Jean Oswald, 1974. Es tev allaž teikšu taisnību. Translated by Leons Briedis. Darzs ar pieciem kokiem: Minerva, 2002. Ik zeg je altijd de waarheid. uit: Salvador Espriu - Ik heb mijn leven gezien als een muur: Masereelfonds vzw / poezie, 1980. Jag skall alltid säga dig sanningen. in: Salvador Espriu - Tjurinnet och andra dikter: Forum, 1974. Ma ütlen sulle alati tõtt. Translated by Jüri Talvet. Labürindi Lopp - Salvador Espriu: Perioodika, 1977. 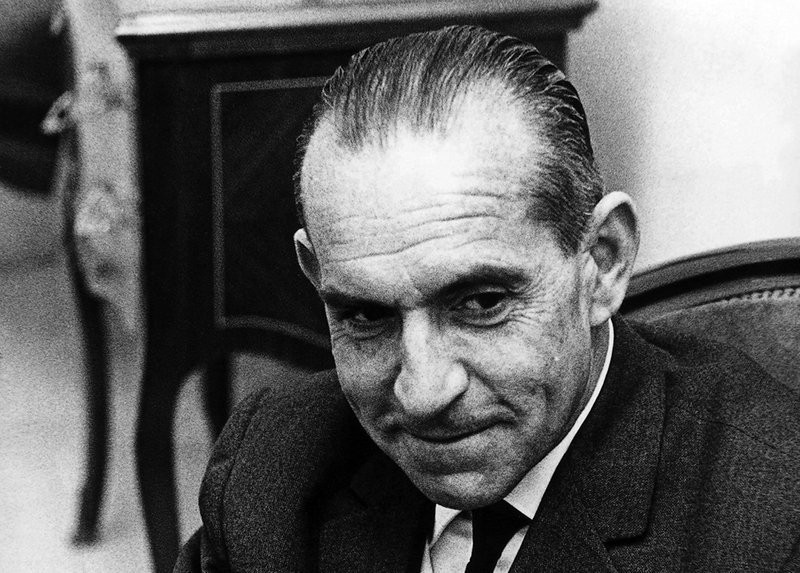 Salvador Espriu (Santa Coloma de Farners, 1913 - Barcelona, 1985) ranks among the most significant writers of the post-war years and is one of Catalonia’s most important poets. Though he initially gained recognition for his work in narrative, the fact that he moved into poetry later on in life did not prevent him from making a name for himself, not only in Catalan letters but in international literature. He also played an important role in the revival of Catalan theatre. He published the novels El doctor Rip (1931, Dr. Rip) and Laia (1932) and the collections of narratives Aspectes (1934, Aspects), Ariadna al laberint grotesc (1935) (Ariadne in the Grotesque Labyrinth, Champaign; Dublin; London, Dalkey Archive Press, 2012), Miratge a Citerea (1935, Mirage on Kythira) and Letízia i altres proses (1937, Letitia and Other Prose Pieces), works that established him as the most original narrator since Noucentisme. His poetry includes the anthologies Cementiri de Sinera (1946) (Sinera Cemetery, Barcelona, North American Institute, 1978), Les hores i Mrs. Death (1952, The Hours and Mrs. Death), El caminant i el mur (1954, The Walker and the Wall), Final del laberint (1955, End of the Labyrinth), Les cançons d'Ariadna (1949, Songs of Ariadne), La pell de brau (1960) (Bull-hide, Marlboro, The Marlboro Press, 1987), Llibre de Sinera (1963, Book of Sinera) and Setmana Santa (1971, Easter Week). He frequently revised his writings, crafting them into a polished body of work that has been translated into many languages. He was nominated for the Nobel Prize in Literature on a number of occasions and was awarded the Honorary Prize for Catalan Letters (1972), the Government of Catalonia Gold Medal (1974) and the City of Barcelona Gold Medal (1982). In addition, he was given honorary doctorates by the universities of Barcelona and Toulouse. His critical stance prompted him to reject the Alfons X el Savi Cross in 1982. Per a la bona gent.